FROM I-65/I-40 TAKE ROSA PARKS BLVD EXIT 85. FOLLOW ROSA PARKS BLVD NORTH APPROXIMATELY 1 MILE. TURN RIGHT ONTO ATHENS WAY. OFFICE IS THE LAST BUILDING ON THE RIGHT. 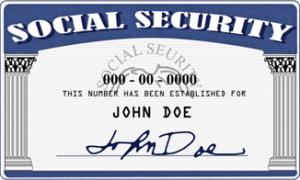 Nashville TN Social Security office assign Social Security numbers to U.S. Citizens.They also maintains earnings records under workers Social Security numbers and administrates Supplemental Security Income program for the aged, blind and disabled. Social Security Answers is here to help. Ask your question. My experience at Nashville TN Social Security Office – anon: I have been trying to get benefits for my son since may 2014. he is 18 years old and a senior this yr. I have submitted all of the required paperwork needed for a child who is home schooled, including a letter from TN board of education’s director of non public schools.